Depending champions St. Joseph’s College Colombo advanced to the final of the ‘Singer Trophy’ Under 19 division 1 inter-schools 2-day cricket tournament, gained a first innings win over St. Sebastian’s College, Moratuwa in the semifinal played at Reid Avenue on Tuesday. Right-hand batsman Dineth Jayakodi made his third century in this season. Dineth Jayakodi scored 116 runs in 148 balls with 11 boundaries and 4 sixes. Lakshan Gamage scored 79 runs and Dunith Wellalage scored 62 runs. Johan de Zylva (59), Yesith Rupasingha (26n.o.) and Dinal Anurada (26) and Ashain Daniel (22n.o.) helped to build their innings. Vinuja Ranasinghe took 4 wickets for 118 runs. Praveen Cooray and Nuwanindu Fernando took each 2 wickets. In reply to Joes 433 runs, the Sebs bowled out for a paltry 85 runs in 34.4 overs. Dunith Jayathunga scored 28 runs and Lahiru Fernando put on 23 runs. 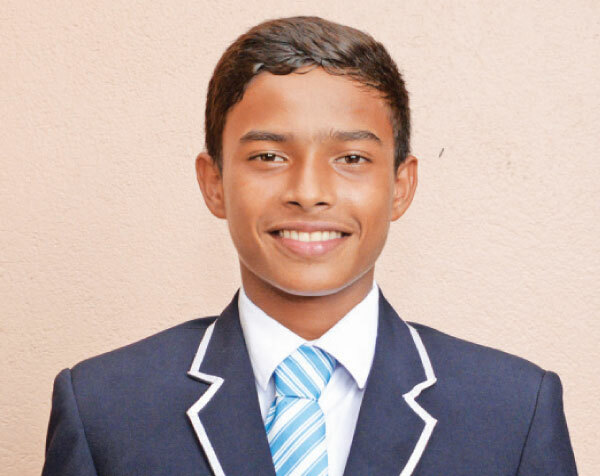 Left-arm legspinner Sri Lanka youth cap Dunith Wellalage ran through the Sebs batting lineup claiming 7 wickets for 22 runs in 10.4 overs, while Johane De Zylva with figures of 3 for 18 runs. St. Joseph’s College Colombo will meet S. Thomas’ College Mt. Lavinia on April 11 and 12 in the final at the same venue. St. Joseph’s: 433 (415/8 o/n) in 107.5 overs (Dineth Jayakodi 116, Lakshan Gamage 79, Dunith Wellalage 62, Johan de Zylva 59, Yesith Rupasinghe 26, Dinal Anurada 26, Ashain Daniel 22 n.o., Vinuja Ranasinghe 4/118, Praveen Cooray 2/42, Nuwanindu Fernando 2/78).